Calling Wendy Davis an "abortion Barbie" is very Christian-y, isn't it? And he's rolling in the insult like a pig in filth. 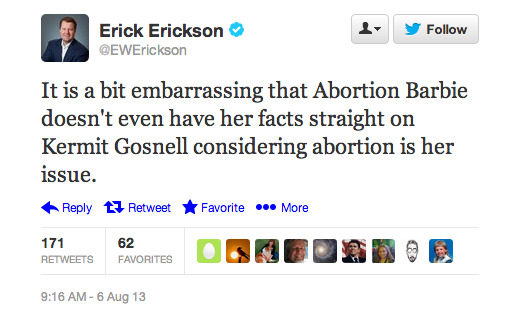 Erickson really is the perfect personification of the Republican Party today: Southern, white, male, hateful, misogynist, and stupid.